What Are the Best Audio Mixer Brands? Where Should a Church Sound Mixer Be Located? What Does A Church Sound System Installation Cost? Is your old analog mixer about to give up the ghost? Alternatively, are your sound people asking for an upgrade? Maybe you have multiple churches using your building. Whatever the reason, this article will help you decide what is the best digital mixer for your church. Now before we start, I want you to understand. This website’s purpose is to make things as easy and as simple for you as possible. When it comes to the best digital mixers for a church, that is a tall order to fulfill. I have been a musician for over 40 years and working with soundboards, beyond turning them on and adjusting the volume and the EQ, are beyond my pay grade. So I went to my sound guy and asked for some recommendations. 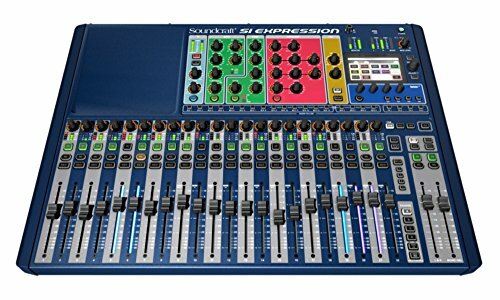 He gave me four options for digital mixers for a church that I hope will be of help to you. I won’t be going over every feature, pro, or con about these mixers. 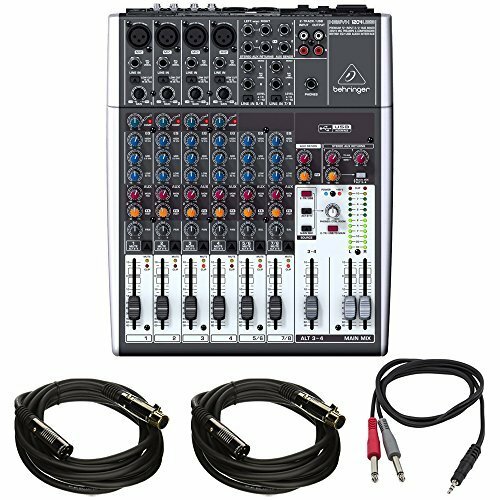 Instead, I will provide some helpful videos, some fundamental ways each mixer might be a fit for your church and provide you with some useful links to the products. Each product link goes to Amazon. As a pastor, and honestly, as a man, I’m not particularly eager to spend hours shopping for something. I want to figure out what I want and get it. Instead of wasting time for hours in various music stores, trying to translate musician-speak, and then hauling the equipment to the church, I find it much more beneficial to take 15 minutes to order what I want and have it show up on my doorstep two days later. I would rather spend that time in study, prayer, and minister to people. That is what God has called me to do. He didn’t call me to shop. 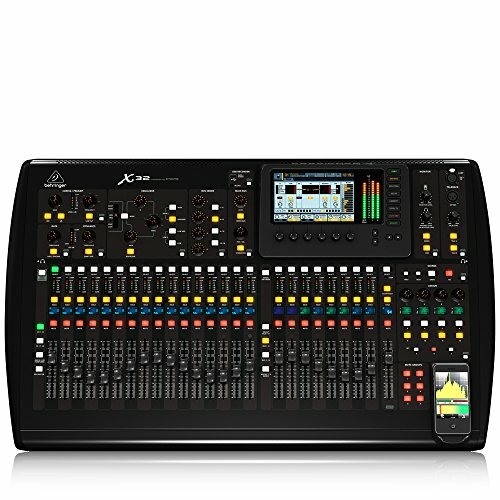 So here are some helpful tips on how to decide what is the best digital mixer for your church. When you are deciding on what is the best digital mixer for your church, there are many questions you need to ask yourself. Here are a few to get you thinking about what your needs are. How many musicians do you have? How many vocalists do you have? Do you plan on adding musicians or singers in the future? Do you have or plan to have multiple worship teams? Who is going to be operating the digital mixer? Are they professional or are they volunteers? 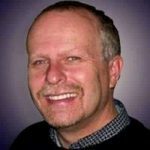 Will you want to record your services or produce multi-track recordings? Do you want to have in-ear monitors? Do you want to go 100% wireless? These are just a few of the questions you need to ask yourself. Here is a video by John Soto that will give you more details about what to look for in a digital mixer. I believe one of the most significant questions you need to answer is the experience level and training your people have with mixers. Most of us have volunteers, not pro sound people. So I would recommend that you make sure that the mixer you choose is easy to operate and has training videos that go along with the mixer. 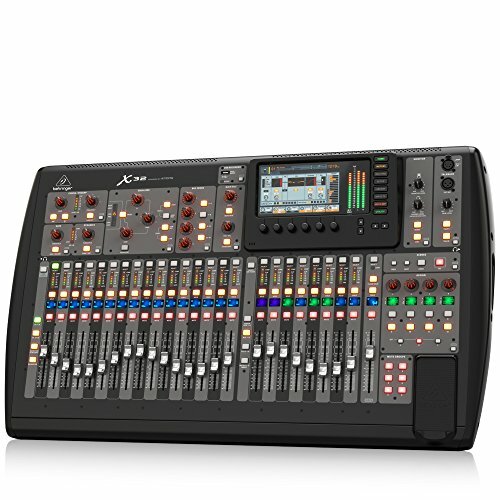 Secondly, I agree with John that you should get at least a 24 channel mixer unless you are not a church that uses a lot of musicians or vocalists then you can go smaller. 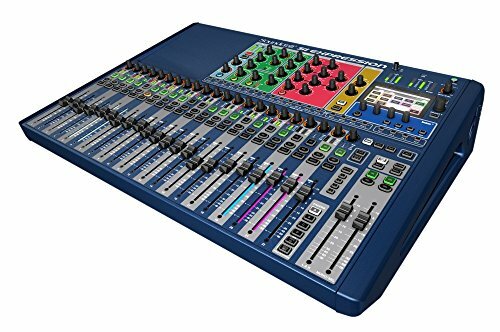 Alternatively, possibly if you are a church plant that has to set up and tear down each Sunday, then a smaller digital mixer might do the trick for you like this Behringer 12 channel digital mixer. 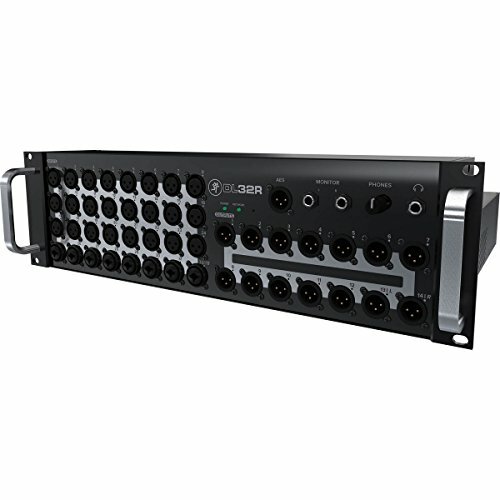 The compact XENYX 1204USB mixer allows you to effortlessly achieve premium-quality sound, thanks to its 4 onboard studio-grade XENYX Mic Preamps and ultra-musical "British" channel EQs. Finally, you need to understand that a digital mixer really will be different from your old analog mixer. Many of your people will struggle at first to leap the digital mixer interface after being used to a bunch of knobs as sliders. However, your younger people will adapt quicker since they are used to Ipads and video games, and they might find it a lot easier to understand. Whatever you do, make sure there is comprehensive training on how to use the mixer. I have tried to break down these digital mixers into categories that will fit your particular need. If you need an easy to use digital mixer, then I have one for you. 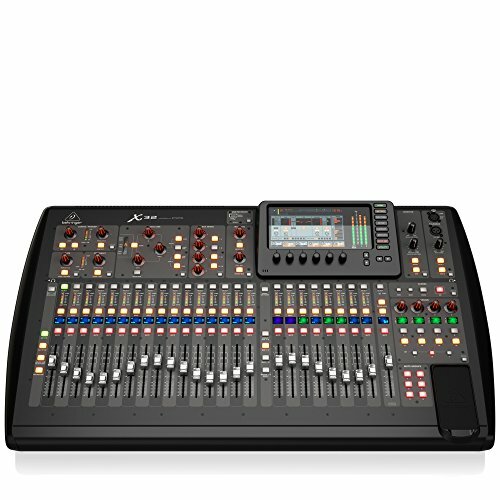 The same with sound quality, features, and the best digital mixer for the money. I have found that depending on your situation; those categories will narrow down your choice. 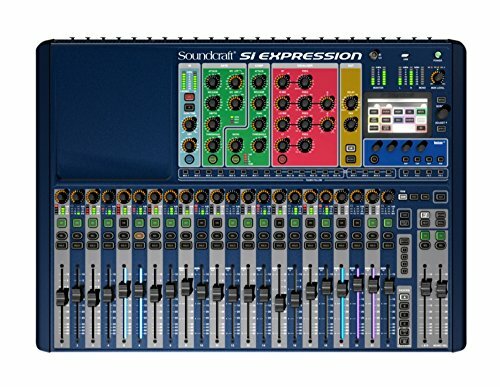 As John recommended above, the Soundcraft Si Expression 2 Digital Mixer is the easiest to operate. Everything is laid out in an easy to understand workflow. You can start with adjusting volume, then with the press of a button, switch to equalization, and go from there to effects, compression etc. As you can see this is one of the simplest digital mixers to operate that you can find. 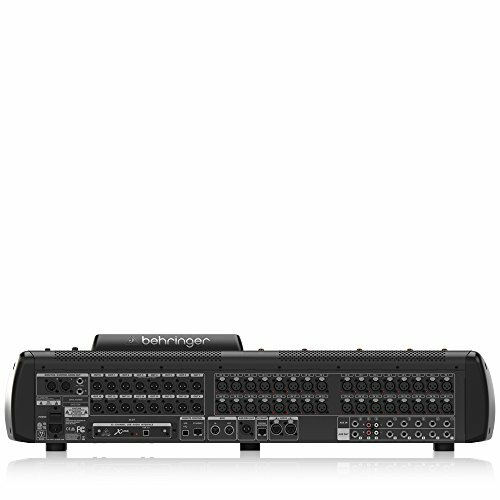 The BEHRINGER X32 is one of the most fully featured digital mixers at a reasonable price range. 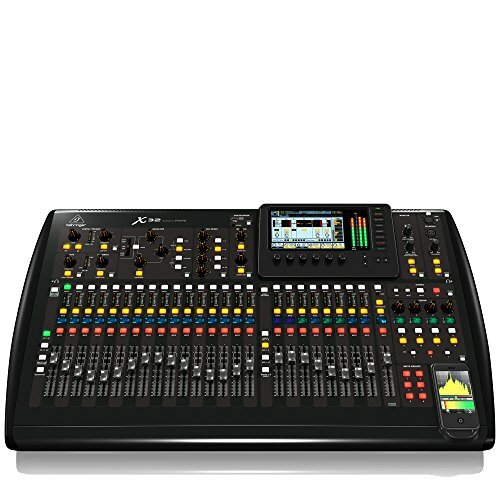 Yes, there are more fully featured digital mixers out there, but for the average church, they are priced out of our price range. However, this digital mixer is not for the faint of heart. There is a steep learning curve when using it. So I would not recommend it if you do not have some knowledgeable sound people at your church. Here is a video showing just a little of what it does. As you can see, this mixer will handle anything your church can throw at it. From large choirs and worship teams to the Christmas cantata, you can have it all. 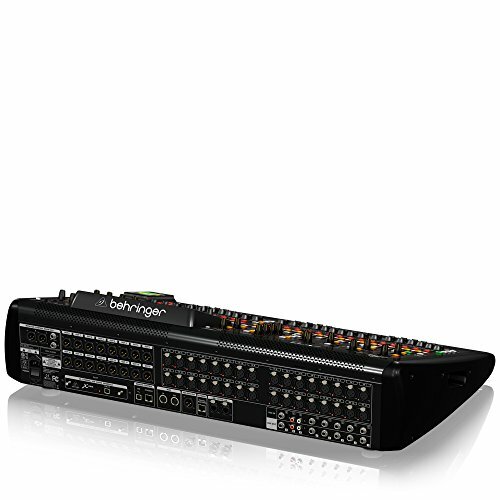 Behringer has a great name in the industry and is used by churches worldwide. 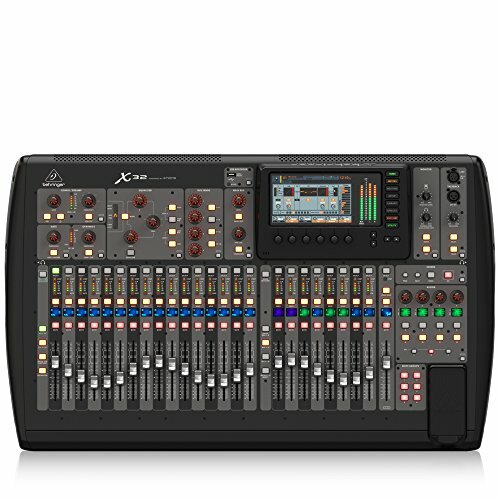 I would be hard pressed to find a digital mixer that is as good as the X-32 for you. It has many training videos out there to help your team learn how to use it like this video from the fine folks at Calvary Baptist Church in Lake Havasu Arizona. 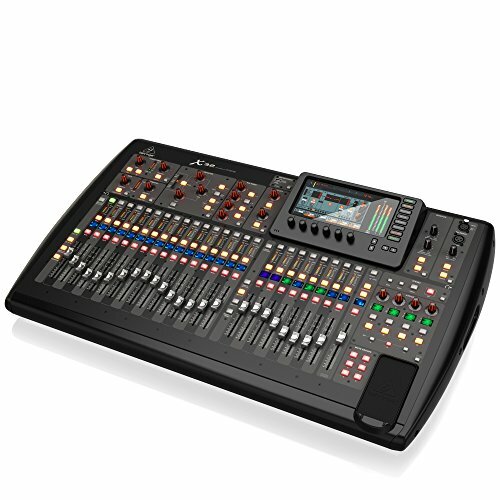 You might be as surprised at this as I was, but most people feel that the Yamaha TF Series Digital Mixer is the best sounding digital mixer out there. Now I must confess. My ear is not trained well enough to notice much difference between mixers. Even though I have been a musician all my life, I am not an audiophile. If it sounds good, I am okay. However, most of the people out there say that the Yamaha mixer is as close as you are going to get to the sound of an analog mixer. Check out this video on all that it has to offer. As you can see, the Yamaha mixer has a good user interface that tries to bridge the gap between analog mixers and digital mixers and sounds great as well. In my opinion, Yamaha has gotten a bum rap over the years because it is a Japanese company. This digital mixer is fantastic. When it is time for us to replace our old Mackie analog board, this is the unit we will replace it with or something similar. I am a firm believer in being a good steward of the resources that God has given His churches. 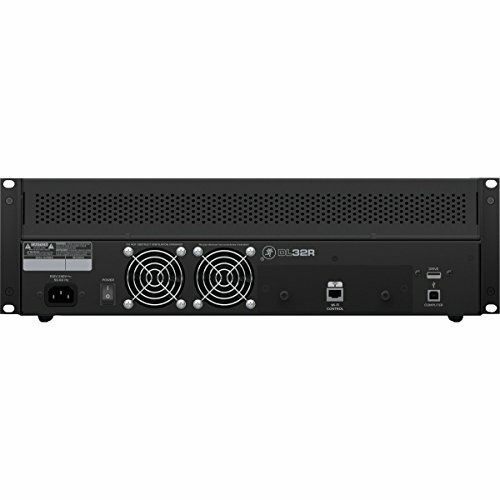 That is why I did not show you 10,000 dollar digital mixers. I showed you good quality mixers at a great price. The Mackie DL32 is the best bang for your buck in my opinion. Mackie has been an industry standard for providing full-featured mixers at reasonable prices, and it can be said that Mackie made the other manufacturers compete at lower price points. 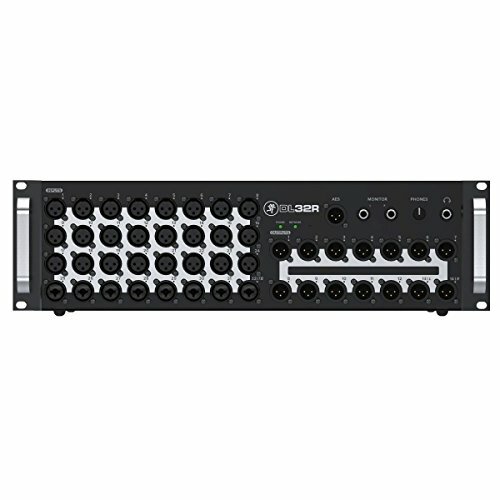 Take a look at all the Mackie DL32 has to offer. As you can see, the Mackie is highly versatile and can be used for a variety of purposes. 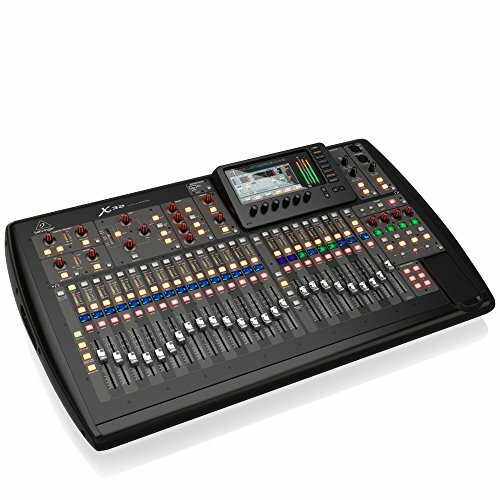 Moreover, with a price that is lower than most of the other digital mixers. My sound guy loves Mackie mixers. When starting to talk about our sanctuary renovations, it was hard to convince him that a Yamaha would work better for us. So if you choose the Mackie, you are in good company. They are loved by churches all over the world because they made excellent sound equipment affordable. There you have it. I have tried to give you four viable options for a new digital mixer for your church. I have not approached this from a technical standpoint but a practical one. Only you can decide what you need. I hope that you have found this article helpful and that it has made your decision easier. After all, church technology does not have to be complicated, and that includes church sound systems and wireless microphone systems and everything else tied to creating a quality worship environment. What? You didn't learn about sound systems in seminary? Neither did I. Here are the church sound system basics every pastor needs to know.